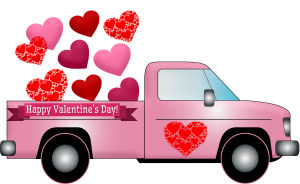 Orlando Auto Detailing/Window Tint, Best Valentine’s Day Gift! It’s almost Valentine’s Day, which means it is time to treat your loved (or yourself) to something really special. Something different, not the same old box of chocolate. Instead, a freshly detailed car or windows tinted by Rite Mobile Detailing! Something everyone can use, a sparkling clean car. Showroom shine paint and rims, crumb free seats, sticky free cup holders, dirt free floor mats. It’s a gift that will keep giving for weeks to come, as well as protect their investment. We all have hectic lives, nobody has time to keep their car clean, which makes a full auto detail and window tinting the perfect gift. Who wouldn’t love a thorough reconditioning and cleaning of both the interior and exterior of their vehicle. And have their vehicle look new again with a meticulous step by step process, restoring the car’s beauty. Just imagine how happy the love of your life will be when their car feels like they just drove it off the showroom floor. The exterior washed and waxed, the rims shined, crumb free seats, cup holders clean of any debris, the floor mats immaculate, the leather seats even conditioned. At Rite Now Mobile Detailing we have over 29 years of experience and strive to set the highest standards in professional detailing and window tinting while being affordable, so you get the best value for your money! Rite Now Mobile Detailing takes your car to the next level. Stop by one of our convenient locations in Ocoee or Windermere or contact us for an appointment.